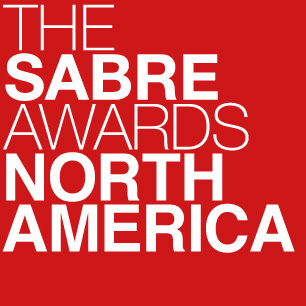 Our 2015 North America PR Agencies of the Year are the result of an exhaustive research process involving more than 150 submissions and 50 face-to-face meetings with the best PR firms across the US and Canada. Analysis of each of the Agencies of the Year and Finalists for each category can be accessed via the navigation menu to the right or here. Upheaval in the pharmaceutical sector led to a difficult few years for healthcare PR specialists, but there are indications that the sector is bouncing back, led by a handful of firms that have expanded their client rosters to include non-pharma business and extended their offer to pharma companies to include more corporate reputation work and a more adventurous approach to digital and social media, integrating everything from online community building to paid media into traditional PR efforts. GCI Health is in the forefront of those developments, working with clients in biotech (Biogen Idec, Genentech); medical technology (Medtronic, Bosch); the payer/provider community (Lenox Hill Hospital, the Hospital for Special Surgery); and associations (the TB Alliance, the American Academy of Nurse Practitioners) joining big pharma names like Allergan, Bayer, Boehringer Ingelheim, Johnson & Johnson, Merck, Novartis, Pfizer and Sanofi. As a result, the firm has tripled in size over the past five years and after 35 percent growth in 2014 now has fees comfortably in excess of $25 million. The more integrated approach, encouraging clients to make use of digital and social channels, has been put into play for consumer brands like GSK’s Theraflu, but also for Bayer’s women’s health portfolio and its new IUD Skyla and building a community of 160,000 patients for Pfizer’s fibromyalgia business. The firm is also providing internal and external corporate communications support to clients, helping them deal with the change that continues to roil the sector and transform to meet the challenges of the future. Chamberlain began 2014 in recovery mode, having lost the substantial Pfizer oncology business in a consolidation the previous year. But the inVentiv Health agency rose to the challenge with vigor, maintaining its ability to translate the most complex science into compelling stories while diversifying its portfolio considerably beyond the core pharma business into biotech and specialty pharma and even some more consumer-oriented business. The firm added the Novartis oncology business, and serves as agency of record for Amgen’s cardiovascular portfolio, helping to introduce the first new heart failure drug in nearly a decade; but it has also helped Novartis introduce a new treatment for psoriasis, creating a film that documented the real-life problems the condition creates for its sufferers. The firm has also worked with other inVentiv Health businesses on contract commercialization issues, helping specialty pharma company Emisphere bring to market Eligen B12, the first prescription tablet proven to normalize B12 levels without the need for an injection and working Aprecia on its ZipDose technology, a drug delivery platform that utilizes 3D printing. As a network of agencies focused on healthcare, the Cooney/Waters Group (CWG) is known for translating complex science into bold, attention-grabbing campaigns. The group’s three brands all have a different area of the healthcare sector covered: Cooney/Waters known for pushing creative boundaries in its marketing comms work; public and private advocacy shop Alembic Health; and the issues-oriented Corkery Group. Business rebounded last year after a challenging 2013 when CWG lost longtime client Sanofi-Pasteur. In 2014, revenues grew 10% to $15.4m. The executive team led by president CEO Timothy Bird oversees a client list that includes the Abbott Fund, AbbVie, Novartis, the Coca-Cola Company, Purdue Pharma and the American Lung Association, among others. Established in 2007, JPA has grown from a one-person band (founded by Carrie Jones) into a healthcare PR success story that now employs 20 staffers across offices in Washington DC, Boston and London. The firm’s focus on influencer relations, in particular, appears to have paid off, coupled with deep healthcare sector knowledge for nonprofit, pharmaceutical and government clients. In 2014, JPA grew its fee income by more than 27% to $4.6m, driven in part by new business from Takeda, Together for Safer Roads, Global Bridges and Intuitive Surgical. They join a client roster that already features GenSpera, Intercept Pharmaceuticals, Chiasma, Lamaze International, Melanoma Research Foundation, Merck & Co., National Pharmaceutical Council, NIH’s National Center for Complementary and Integrative Health, Reagan-Udall Foundation for the FDA, BMS, Children's Hospital Association and ViiV Healthcare. TogoRun—a specialist healthcare consultancy that operates as part of Omnicom’s FleishmanHillard—takes its name from Togo, a husky known for his role in the 1925 “Great Race of Mercy” to save a village in Alaska from an outbreak of diphtheria. It mission, fittingly, discusses “fearlessly navigating uncharted territory,” and its values including commitment, courage, creativity and craftsmanship. Those things are all easy to talk about, but TogoRun has been delivering on them since its foundation in 2009 (evolving from predecessor firm CPR Worldwide) and has been rewarded with impressive growth, with fees up by 32% in 2014 as the firm ended the year with 60 people in New York, Washington, Los Angeles and London, led by former Cohn & Wolfe executive Gloria Janata.